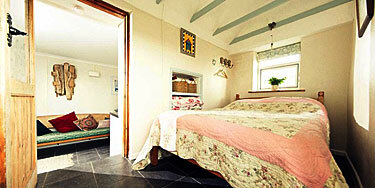 The cottage is in a stunning location at the top of the cliff above Gwynver beach with a path from the door to the beach. 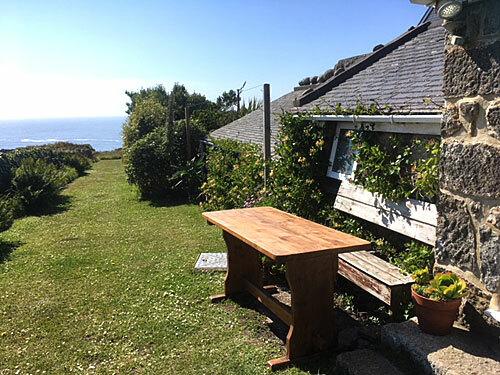 The cottage is located at the top of Gwynver beach and looks west towards Sennen Cove, Land’s End and the Isles of Scilly. 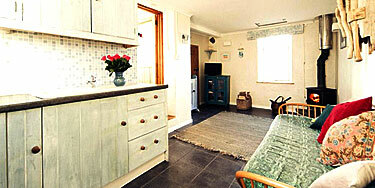 Our beautiful granite cottage is perfect for a couple. 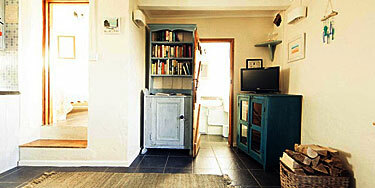 There is one double bedroom, an open plan kitchen/living area and a shower room. 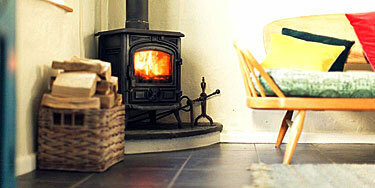 The living room has a wood-burner ensuring the cottage can be kept lovely and warm. Bed linen and towels are provided and there is an electricity pound meter. There is direct access to the beach via a well-trodden path which takes about five minutes. Yoiu will be welcomed with delicious home made brownies and relish or jam and eggs if our chickens can be bothered to lay any !